"IT Website Solutions helped give our merchandise store a big face lift that helped with sales. Ian even made custom flash code for us to have an interactive store. He travelled over the border to NSW to meet us in person to get an exact idea of what we wanted for our site and am truly grateful for all the work at great price. He also used software to update the store offline then had the new one up in an hour so we didn't lose customer sales or have to put the site into maintenance mode while he did his work. Thanks!" Jeff and Erin from JK Hydro approached IT Website Solutions to build a new website for them. Their old site was a static page with products but no way to order them without calling the store. IWS built a completely new website for them using WooCommerce. This included designing the home page and creating categories for products. The website also includes a shipping module that creates correct pricing based on the dimensions (Length, Width and Height) of and object and its weight. It provides options for regular parcel post and express post including pre paid satchels. There is also an option for flat rate shipping with the courier service they previously used. Erin had a reasonable understanding of computers to begin with so IT Website Solutions worked with her to minimise cost. This included her doing the photos and descriptions for products and categories after the product categories were created on the back end and was shown how to add them. She also added in the product dimensions of each product to provide actuate shipping costs. The site also includes dynamic elements such as the specials at the base of the home page which change automatically when products are listed as on sale. Erin and Jeff now manage the site themselves but do contact IWS from time to time to ask or check about elements of it. IWS offered short term free advice for Erin after the website went live to help out. 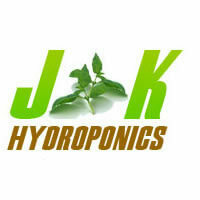 By JK hydro managing and doing the easy but time consuming work for the website the site cost about one third to half the cost of other quotes they were given. Nori who runs a beauty massage business worked with IT Website Solutions to build a new website. Not only was IT Website Solutions able to help her get started with a web page but also able to give valuable advice about starting a small business and managing online presence. IWS built a website for Nori and targeted people within a 10km radius of her home business. Even with targeting such a small area IT Website Solutions was able to get Nori consistent visits to her web page with a extremely high call conversion rate for people looking for reiki, reflexology, aromatherapy massage and other beauty services she offers. 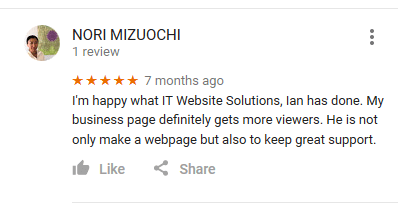 IT Website Solutions set up a email address for her, helped make a logo and write information about her products due to her English not being her first language coming from Japan several years ago. The site contains a blog, beauty services, bookings, and much more. If you would like to see the site It Website Solutions created for Nori or anyone else please get in contact and all the information and portfolio can be provided!